Blaeu - Gallia. Le royaume de France. Title: 'GALLIA. Le Royaume de France.' Engraved by the master engraver Josua van den Ende. 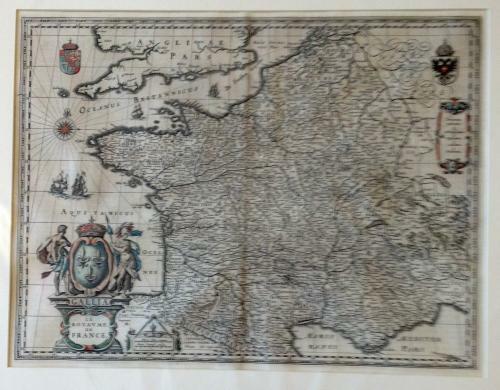 An attractive map of France, title cartouche at lower left, two royal shields above further shields in the upper corners.